Warning: this post contains links to sites that use some pretty strong language at times and several links are also NSFW. Recently we received an e-mail from a reader asking what to do about “auction house griefing”. The reader said that any time he placed an item for sale in the auction house a certain other player would undercut him almost immediately. Our advice was to basically ignore the competitor and press on with normal trading. If that doesn’t resolve the issue after a few days, simply move your auctioning business over to an alt for a few weeks. Without an audience, or participatory ‘victim’, you remove a key component of the griefer’s game and render them irrelevant. We assume this advice worked in that we haven’t heard anything further concerning the incident but it did get us thinking, what’s with all the hating lately? While griefing has been an internet tradition since inception, it sure does seem that in the past few weeks the WoW anger level has risen to epic levels. Perhaps it was the natural result of forcing players to fight for colored eggs. Perhaps it was the result of encouraging selfish game play through poorly designed game mechanics. Regardless, the griefing doesn’t stop with world events and it certainly didn’t start there either. MMO griefing certainly didn’t start with WoW. There are many examples of both the amusing (if somewhat tasteless) and the annoying variety. Some have built entire empires based on what’s often called the ‘art’ of griefing. Of course, when we start calling it art we also stop calling it grief. At that point it becomes a prank or a joke or some other term with a less of a negative connotation. There are interesting perspectives on griefing all over the internet. Tobold’s got a good take on it. Last year’s AGDC conference kicked off an interesting discussion on the matter. The most recent issue of The Escapist features an in-depth look at griefing, particularly as pertains to WoW apparently. There are some hilarious examples of griefing crossing over into real life (while probably NSFW, that’s a must watch video there). About a year ago Wired Magazine did an interesting interview with a few notorious griefers (includes photos and yes, they look about as dorky as you’d expect). Our own take on the matter from the WoWenomics team is that it has something to do with the Online Disinhibition Effect (summarized so flawlessly by Penny Arcade) mixed with the theory of the Monkysphere (in which proponents argue that we only have enough mental and emotional bandwith to care about a specific relatively small amount of people). We believe the best way to combat a griefer is simply to ignore it as much as possible. Getting angry or engaging them at all only feeds into their desire to cause strife in others. Threats and complaining will only exacerbate the issue. As far as Blizzard goes, they remain liaise faire on the issue of griefing. Don’t look to them for resolution unless the incident violates the ToS. Even if it does, barring racist (or similar) comments from the offending party or other serious violations, the likelihood of a punishment beyond a slap on the wrist is fairly low. All said and done however, it would be wise to remember that we all fall victim to this type of behavior at one point or another. Further, keep in mind that the internet isn’t always totally anonymous. And sometimes, just sometimes, a griefer will get his due. Okay, we’re not a PVP blog. Nor are we an achievement blog. We don’t even play one on TV. That said, we’ve heard a ton of complaints from both readers and friends regarding the School of Hard Knocks achievement that is part of the Children’s Week meta-achievement. Earlier today all of the WoWenomics team members completed the hard knocks achievement and we did it on different servers with PUG groups. Naturally, we’ve figured out our own tricks to efficiently complete this (agreeably challenging) PVP component to an otherwise easy holiday event. It is these tips and tricks that we will share with you now. First of all, it should be noted that all of the WoWenomics team members are in agreement that this achievement will be removed from the meta-achievement required to attain the Long Strange Trip achievement. It is simply of a different degree of difficulty to most players than the other holiday achievements. Blizzard has already stated that they believe that “…all of the goals listed are actually fairly simple to accomplish.” And we know that statement absolutely enrages some players (a look at the official forums confirms). All this is to say that, for now anyway, it is probably best to assume that the requirement will remain. Alterac Valley (Assault a tower)- This one is a big race to a tower. Ideally, you’ve got any skills or items to increase your riding speed increased at your disposal. Once you get into a tower consider using some of the tools of the trade mentioned below. Beyond that, the best way to win the race to a tower is to get a head start. Start auto-running at the gate before it opens. 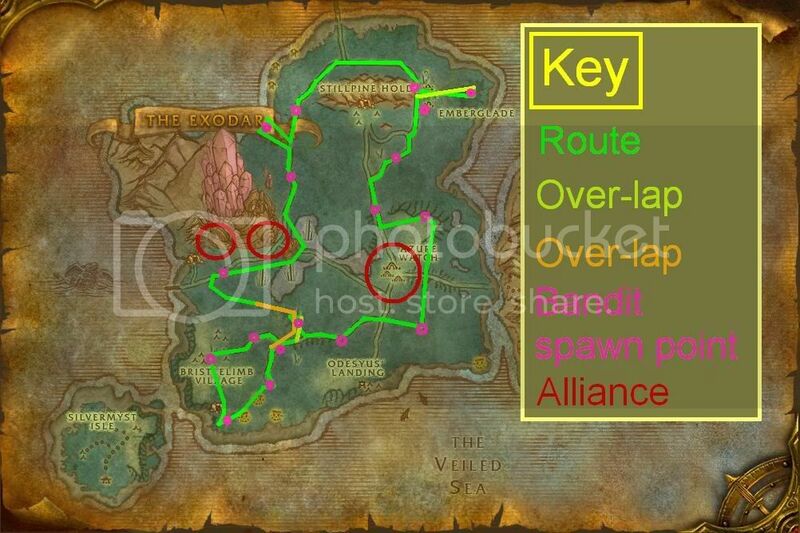 If you’re on the alliance side you can take the high path while others follow the road. This route (behind the tree to the left of the path where it starts to go downhill) takes some skill and practice to get used to but can save you a few seconds in the race if executed correctly. Note, if you don’t have a speed enhancement of some kind it will be more beneficial to stick with the group assuming someone’s got a group riding speed buff up. Arathi Basin (Assault a base flag)- This is probably the easiest of all the BG requirements. Simply be the first to assault a base flag. Note that you’ll have to complete the flag capture to get credit. This doesn’t mean you have to wait for the base to cap, only that you have to complete the flag capture process. For this reason, we do not advise going for the blacksmith unless you’re very fast or have teammates that can and will keep your opponents off of you. To give yourself a head start, pop out your orphan, mount up and begin auto-running into the gate before it opens. You’d be surprised how much of a head start this gives you. There are certain class skills that can also help. For example, a mage can put slow fall on the group and this group can jump off the cliff to the flag at the gold mine or a death knight could put the water walking buff on a group who could then race across any water and directly to the blacksmith. Anything helps here although the easiest way is to go straight to the flag closest to your base (although that’s also the flag with the most competition). Eye of the Storm (Capture a flag)- Here’s where you need the speed tools from the list below. After gaining control of the middle, flag-spawning area, you’ve got to be the first to click the flag and complete the flag attainment process and return it to a friendly base. Any damage you take will interrupt the attainment of the flag. The best way to insure that you are the one with the flag is to begin clicking the space where it will appear just after the flag is capped by either team. A few practice runs and you’ll perfect exactly where it spawns. Note, everyone running straight for the flag is not a good idea as the opposition will take all the bases (since they start off neutral and must be capped) and you’ll have no where to take the flag if you get it. Warsong Gulch (Return a flag)- This one can be tricky. You’ve got to be the person to return a flag to your base after it is captured. Try clicking right above the head of the opposing team’s flag carrier right before he dies. And, for God’s sake people, kill (or stun) the darn healers first or that flag carrier will never die! For all BGs- consider going in pre-made. By far, the best way to get all the achievements done is to go in with a pre-made group (ideally guildmates or friends) and take turns completing the various tasks. These items are all standard issue to regular PVPers. You might want to use them yourself if your class’s skills don’t have any of the abilities they grant. Turbo boost- there are various consumables, items and trinkets that will boost your run speed. Use them. Consider using them one after another in cases where there is not a shared cool down. The situational need for a speed boost should be obvious and, if it’s not, it will become so after an attempt or two. Flask of Chromatic Wonder- This is our favorite PVP flask because it adds to our resistance while boosting all stats. Both of these functions are helpful for PVP. Generally you don’t want to use elixirs for buffs in PVP, as it can get expensive as the deaths stack up. Small mount- this is not the time for the mammoth. You want to be harder to hit and that means being smaller. Clickers will have a harder time hitting you if you lower your size. Further, you’ll be harder to see. It’s a small thing (lame pun intended), but every bit counts. Invisibility potions- if you’re class cannot stealth, you’ll want a couple of these in your inventory and on your hot bar. They’re perfect for sneaking by AV turtles or past tower defenses. Just remember that any damage will take away the buff so avoid AoE spells on your way to your goal. Nets, snags and snares- both engineers and tailors can use their professions to create snares. Almost every class can stun or snare an opponent in some way. Use these tools to your advantage and cap the flag first, then fight. Let someone else do the work- The most common tactic, if you can even call it that, is to simply let others do the bulk of the work. In our quest to complete this achievement we repeatedly observed players doing things like waiting for others to fight with tower guards or flag carrying opposing players and then sneak in at the last minute and take the cap. If you’re a good PVPer you don’t need to do this but this is the result of ‘forcing’ non-PVPers into the battlegrounds. Multi-queue- If you want to get in and out and be done with this achievement ASAP the Multi-queue can help. This is where you queue for several battlegrounds at once. The best use of it here is to do AB and AV at the same time. Queue for Arathi Basin and as wait for the invite to come up. Wait until you’ve got less than 30 seconds on the timer to join and then sign up for Alterac Valley. This should give you just enough time to get into AB, race to a flag and cap it. As soon as the invite for AV pops, take it and start that one. Protecting the competition- Now this is a genuine dirty tactic but we observed a few players doing it during our runs today. You can’t cap a flag if you’re immune. If you have some form of immunity that you can put on another player (such as a Palli’s Hand of Protection) and you find yourself about to lose out on the flag cap because they are just in front of you, apply the buff to them and they won’t be able to cap. Again, we don’t recommend this as it can really piss people off but, if nothing else, it is helpful to be aware of this tactic in the event it is used against you in which case just be prepared to click the buff off. Trade achievements with the opposing team- One of our team members reported being in a WSG match today where it seemed players were trading off opportunities to take and then drop and return the opposing team’s flags. Our team member said that at one point he took the opposing team’s flag and tried to return it and was yelled at by his own teammates who wanted him to drop it and let the other side have it back for the credit. They went as far as to stand by and let our friend die when he tried to return it. While the other ‘dirty tricks’ above are bad ideas because they’re, perhaps, morally wrong, this one is just plain cheating and violates the ToS. Our WoWenomics team member’s subsequent conversation with a GM on the matter confirms this. Don’t do it. Play the game to the best of your ability and you’ll get it done eventually. Don’t forget to have your little orphan out when you complete a BG achievement. Nothing is more frustrating than forgetting this simple step and not getting credit. The Children’s Week event starts early Saturday Friday morning. As such, many players will be attempting to wrap up the related achievements in pursuit of their 310% speed boosting world-event mount. One of the required achievements is Bad Example, which requires you to eat certain unhealthy snacks in front of your orphan. The opportunity for profit is that two of these treats are not available from vendors and can only be crafted by WoW chefs. The Delicious Chocolate Cake and Tasty Cupcake are both crafted items and should hit a premium in price during the Children’s Week event. We expect that, while both items will show a steep rise in price, The Delicious Chocolate Cake will show the strongest increase for several reasons, not the least of which is the fact that the recipe is a fairly rare drop from daily cooking quests so not all chefs will have it (in fact, we hear that some people even think that ‘the cake is a lie’). Even if you are not a chef there will be plenty of opportunity to profit from the cake. We expect a limited supply of cakes in the AH during the event so an enterprising player may just buy them out as they become available and reprice them. At any rate, you’d do well to collect the materials and craft one (or have one crafted) now if you’re interested in the achievement and, while you’re at it, make a few more for profit. In terms of opportunity, this may be your one and only chance to have your cake and eat it too. Yes we know a max-level player can farm the mats for this item very easily. Yes we are aware that the materials to make the item normally cost less than five or six gold if purchased from the AH. Yet, we also know that many players will be too lazy or otherwise distracted to craft or purchase the materials to craft the cake (and the cupcake) and will simply look to buy it from the AH. And this is why, for this very short window of opportunity, Delicious Chocolate Cake is our Hot Item of the Week.